QUESTION: Mr. Armstrong; I read your work on the euro from the nineties and how it would fail. Everything you laid out unfolded over the the subsequent 20 years. I assume you have discovered historical attempts to create a euro type system before aside from Napoleon. Can you point to any other references? ANSWER: History repeats because the human emotions and passions of humanity NEVER change. Without going into all the numerous attempts of trying to create standards, which in fact was the root idea behind the euro to combine the European currencies to compete with the dollar, let us turn to Greece, which was the first state to crack in the Eurozone. The Athenian Owl became the world currency that was imitated even in India. It was not that these imitations were counterfeit insofar as reducing the metal content. 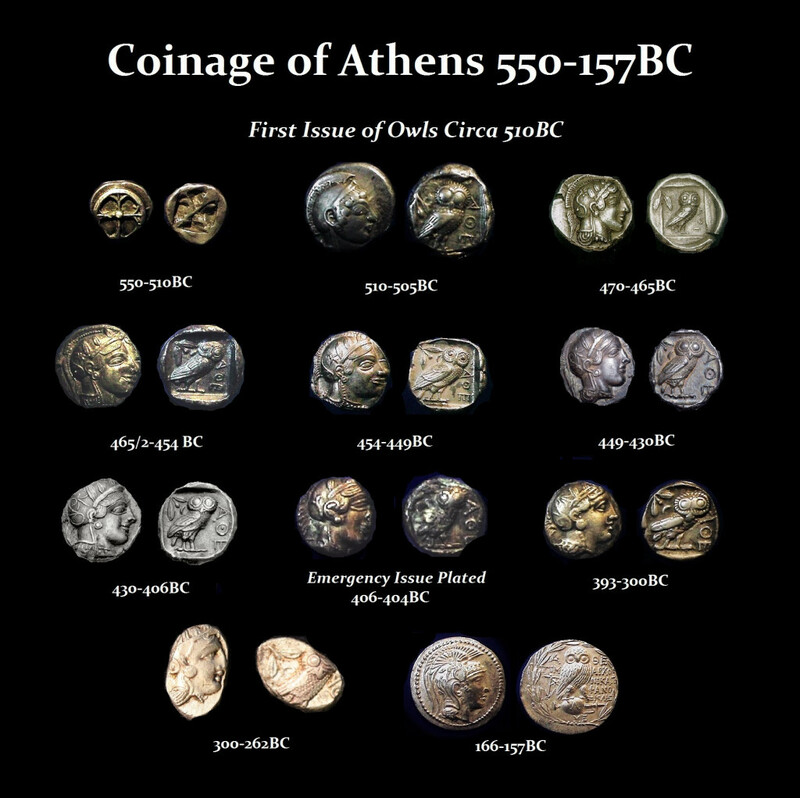 To the contrary, imitations were simply created because the Athenian Owls carried a premium over the silver content similar to the US dollar in peripheral economies today as many peg their currency to the US dollar such as Hong Kong or Saudi Arabia. The resentment of this Athenian decree that made the Athens Owls the “reserve currency” of the ancient world, contributed to the Peloponnesian War (431–404 BC) fought by Athens and its Empire positioned against the Peloponnesian League led by Sparta. Athens had the naval supremacy, but in the end, it fell to Sparta. Today, we have resentment against the dollar being the reserve currency coming from China and Russia. But what backed the Athenian Owls to the point that they carried a premium over their metal content was the fact that Athens was the financial capital of the world due to its dominance in trade. Even shipping insurance emerged in Athens along with banking. The Athenian Empire emerged following its defeat of the Persians much as governments now share information and hunt people for one another under the claims of terrorism. The Delian League was founded in 477 BC as an association of Greek city-states under the leadership of Athens for the purpose of continuing the defense against the Persian Empire after the end of the Second Persian invasion of Greece. The name is derived from its original meeting place, which was the island of Delos where the ancient central bank stood. Pericles moved it to Athens in 454 BC. This was similar to the design of the European Union. Athens used the League’s navy to further its trade much as Germany has done to eliminate currency risk for its exporters. This conflict of interest often led to disputes between Athens and the less powerful members of the League creating tension over the single currency created by the Athenian Coinage Decree. By 431 BC, Athens’ authoritarian control led to the outbreak of the Peloponnesian War, which ended the League in 404 BC under the direction of Lysander, the Spartan commander upon the defeat of Athens. The authoritarian attempt to rule Europe by the EU is leading to the same disruption in commerce. 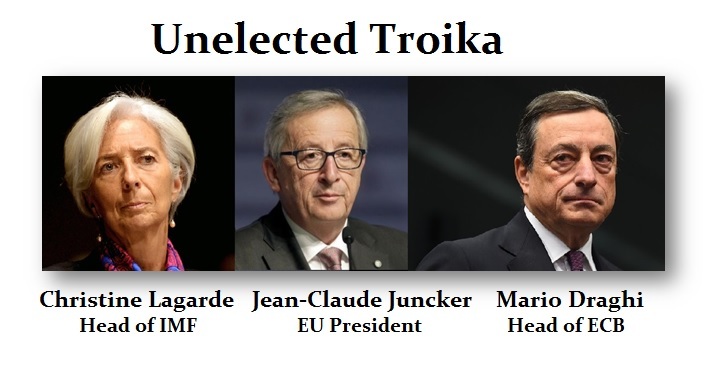 The unelected Troika are also like the tyrants of Athens who were overthrown and replaced with democracy. Southern Europe has not benefited from the single currency any more than the various city-states among the Delian League. The single currency benefited the northern manufacturers within Europe at the expense of the less industrial Southern European member states. The failure to consolidate the debts of all members in the EU burdened their economies causing their past debts to be converted to euro which then doubled in real value. Nobody understand this very basic problem in political circles. Talk about being brain-dead!